Mother’s Day is a lucrative business for online florists. Especially, with less than three days to go until the big day, here in the UK. Flowers are a big money maker this time of year, often outselling Valentine’s Day bouquets. This is effectively Christmas for the floral industry. Yet so many online florists are setting themselves up for failure. It’s not just well-established online retailers like Interflora and M&S that are making mistakes. The so-called, “disruptors” of the floral industry are just as much at fault too — Bloom & Wild, The Bouqs, Petalon, et al. Let me explain why. Flowers can be perceived to be a very expensive gift and one that’s hard to justify parting money for. This is especially the case for consumers like me, who struggle with the concept of parting upwards of £40-£50 for a bouquet that may only last the best part of a few days — a week, if lucky. Why should I buy a bouquet at this price point that looks identical to one that I can buy from my local supermarket for a fraction of the cost? To the untrained eye, the decision is an easy one. Go for the cheaper supermarket option. You have to remember, when shopping for flowers online, you can’t smell or touch them like you can in-store, so a prospective buyer is heavily reliant on product imagery first-and-foremost, followed by the supporting content on the product page — product descriptions, customer reviews, and so on. You then have to consider delivery charges, delivery timescales, etc. It can be a laborious process for a prospective buyer. 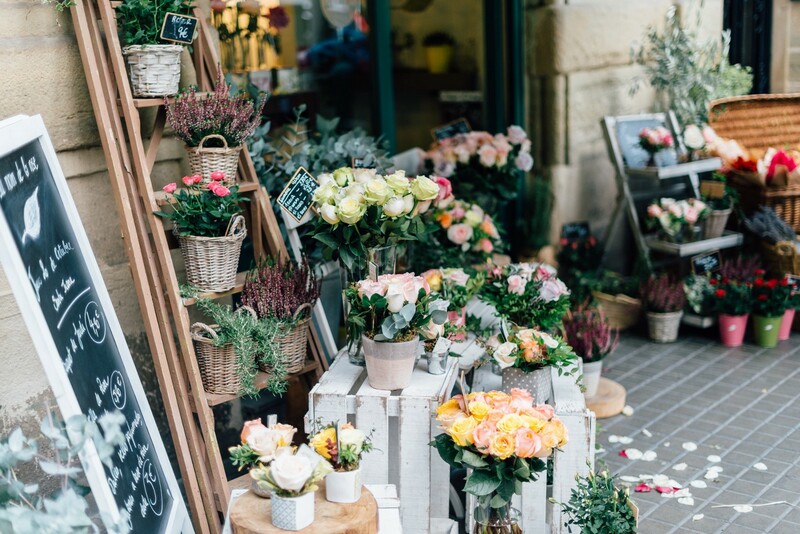 Bearing that in mind, online florists have to work considerably harder than those with a brick-and-mortar presence to capture a sale. I’m now going to share some personal insight into my experiences (and frustrations) of shopping for flowers online. As a Dad to two young children, I often like to buy flowers for Mother’s Day, as a small gesture of thanks from myself and the kids, to both my Mum and fiancée, for all the amazing things they do, which we are forever grateful for. Sometimes, I’ll head to the local supermarket and buy a luxury bouquet. On other occasions (usually, when I’m feeling a little more flush, financially! ), I like to order flowers online as an extra special treat. Admittedly, I know very little about flowers — other than that my fiancée loves Peonies! When it comes to choosing flowers, I often go by how their colour, smell and how well different types of flower in a bouquet, compliment one another visually. I have only ever set foot in a brick-and-mortar florist, maybe, once or twice before. I feel completely overwhelmed in a physical store and somewhat pressured to make a purchase, often due to the overly keen Sales Associate and my lateness in realising a big special occasion, like Mother’s Day, is only a day or two away! Due to being poorly organised and prepared, when it comes to ordering flowers online, I tend to find the whole research and exploration process to be a little stressful, to say the least. It’s right up there with shopping for car insurance and the pain of having to go through endless comparison sites to find the best deal! This phase of my shopping journey can take hours, as I go about comparing florists’ product offering, pricing and reviews from gift recipients. It can be a rollercoaster of a ride, having eventually found the perfect bouquet, only to then realise at the point of committing to purchase that the florist can’t fulfil my delivery expectations, or in the case of Mother’s Day, deliver on Sunday, itself. Other notable pain points include items showing up as “Out of Stock” that were “In Stock” just hours earlier, and extortionate hidden delivery charges, which are only first exposed at the point of purchase. With a bit of insight to hand into the mind of one such prospective buyer (me! ), now lets move on to the specific UX failures I often personally encounter when shopping on florists’ websites, as well as discuss options and recommendations for improving each. As someone who knows zilch about flowers, I look to the product photography first and foremost to shortlist bouquets of interest. Colour and arrangement are key to the decision-making here, but getting an idea of the physical size of the bouquet and the number of flowers it comprises of, are just as important. You wouldn’t necessarily want to overpower a small room, with a huge floral display, or vice versa. Having comparative objects in the scene, can help a prospective buyer to frame and visualise the bouquet in the environment it is to be showcased. Simply showcasing the bouquet in an individual’s hand, or next to a table lamp, for example, would be an improvement. How about allowing the user to select different settings in the home, where the flowers may be showcased, such as in a Kitchen, Living Room, Bedroom, Bathroom, Hallway or Porch, for example. On Petalon Flowers’ website, it is isn’t clear what the difference is between the sizes of “Original” and “Bigger”. Online florists nearly always portray their bouquets in full bloom. In reality, the recipient may be presented with a bouquet of flower buds, with the petals closed for protection. So, why not provide imagery that portrays both states of flower development? It helps to set expectation on the buyer’s part before committing to purchase, reducing the risk of an unexpected “surprise”, and subsequently, the likelihood of leaving a negative review of the product/service. Many online florists also offer a product known as “Letterbox Flowers”. 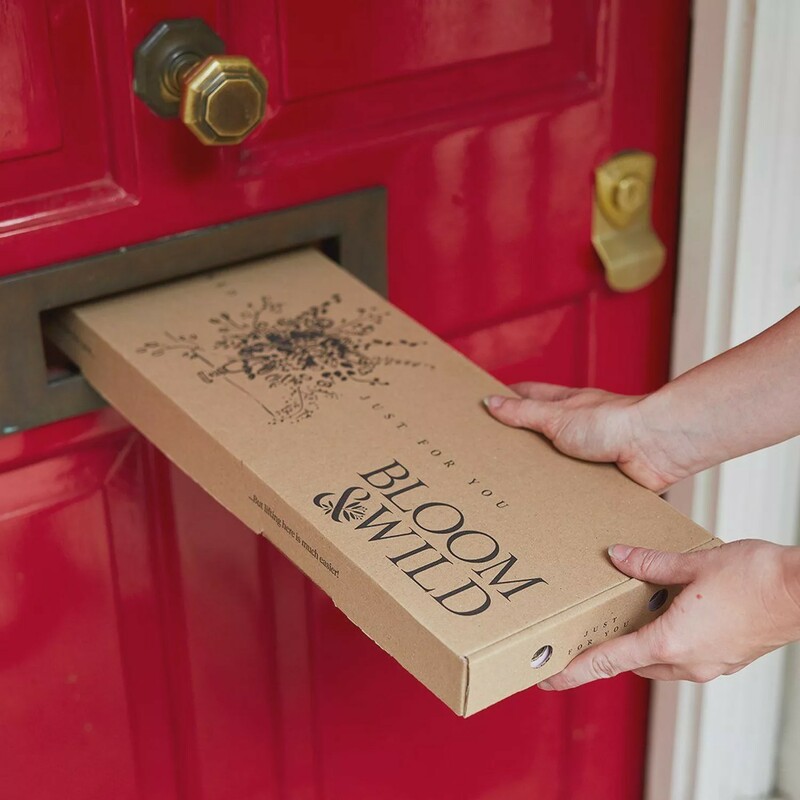 As the name suggests, these are delivered in bud, which means they last longer and can fit through the letterbox, typically, in a cardboard box. One of my biggest irritations with this format is that I have no idea how the flowers are presented in the box! Again, all of the imagery on the product page portrays the flowers in full bloom, usually in a vase. How are the flowers bound together? Or are they loose? Are they wrapped or open? If they are wrapped, what are they wrapped in? Are there care tips inside? What about floral preservative? Does the box include a personalised message? If so, how is it presented? How is the exterior of the box branded (if at all)? These may all seem like somewhat trivial questions, but they can be considerable barriers to purchase. Last-minute ordering can be very stressful. Feelings and emotions are heightened as a result. The slightest annoyance or pain point will be magnified under such circumstances. It’s important for online florists to be aware of this, in the respect of setting realistic expectations, by being clear and transparent about stock availability and delivery times, among other things. 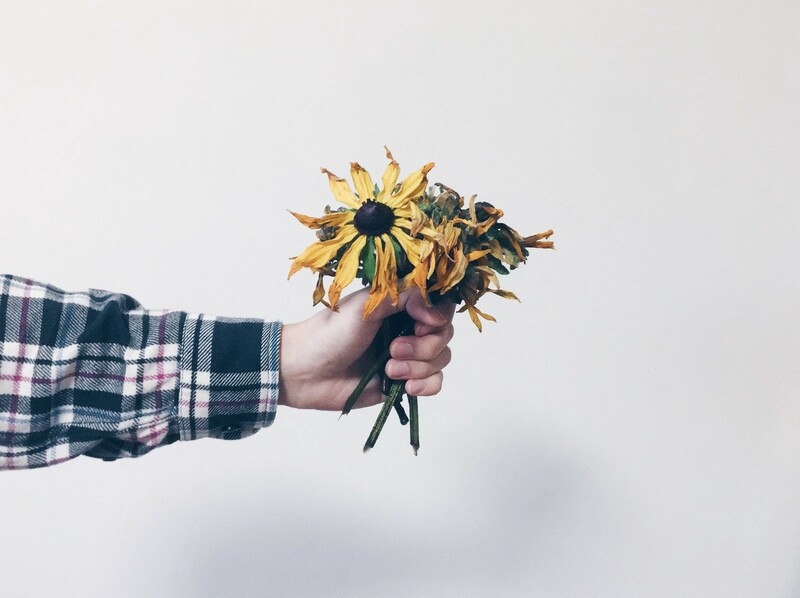 As a user, there is nothing more frustrating that exerting time and effort in finding that perfect bouquet, only to then realise at the point of committing to purchase that the order cannot be fulfilled in time or has now become “Out of Stock”. It’s a sure fire way to lose a sale. Be proactive in encouraging the user to provide their preferred delivery date and delivery postcode, as early as possible, during the exploration phase of their shopping journey. 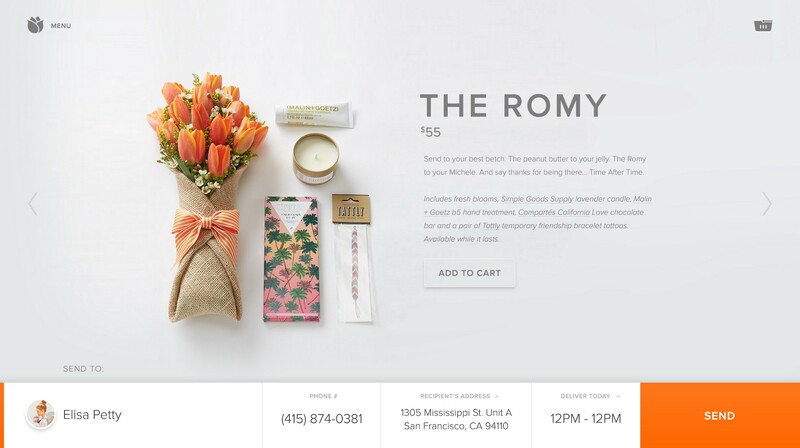 In doing so, you can use this to refine your product offering, ensuring the prospective buyer only sees the flowers that you can guarantee delivery for, in line with their expectations. It also allows for more focused browsing on the user’s part, reducing the paradox of choice. On the Next Flowers website, it isn’t until the checkout stage that you are asked to provide the delivery postcode. In this instance, it turns out they are unable to deliver the selected bouquet to this address in the Scottish Highlands. Ask yourself this question. Over the last X weeks/months, how many customers bought more than one bouquet, as part of a single transaction? Chances are, it’s a small percentage of your total customer base. In which case, do you even need a Shopping Basket? Don’t get me wrong, there will be edge cases, where individuals may well want to buy more than one bouquet, for delivery to two different addresses. This Mother’s Day, I may want to order a bouquet for delivery to my Mum and one to my fiancée, both of whom live at different addresses. But, think about the design of a checkout process that would allow for a user to specify two or more products to be shipped to two or more delivery addresses, as part of a single transaction. Aside from being a nightmare for the user to navigate and make head nor tail of, it would be just as big a challenge to design, develop and then maintain, for what will be a minority share of all customers. If the purchasing insight backs up my initial assumptions, I would be inclined to ditch the idea of having a Shopping Basket altogether, with a view to instead allow the user to place an order directly from the product page. You may have already captured the delivery date and postcode prior to this point, in theory, meaning the user would then only need to select the delivery address from a list of potential addresses returned from a postcode lookup, in addition to providing their payment details. Obviously, there may be optional input fields for any personalised messaging, for example, but a progressive disclosure-type approach to the integrated checkout design could be worthwhile exploring. When the user is in the mindset of being committed to making a purchase, online florists need to be very careful not to shoot themselves in the foot, by unnecessarily forcing “upsell” items like chocolates, alcohol, teddy bears, hampers and other such gifts. Having been on the receiving end of this exact upsell treatment, they run the risk of losing a sale, altogether. There is a time and a place to encourage upsells, and that is after you have first captured the purchase for the flowers, which often outweigh the profitability of those upsells. If insistent on doing so, upsell on the “Order Confirmation” page. At this point, one would hope that the customer is feeling a sense of achievement, excitement, relief, or a mixture of all three, having now completed their order, knowing that the delivery will soon be on its way. Upselling immediately after the point of purchase, means there is no barrier to purchase. The highest value item (the flowers) has already been bought, so there is no risk of now losing that sale. Upsells are generally much cheaper to purchase, so anything added to the existing order at this point is an added bonus. It’s worth bearing in mind cut-off periods for order dispatch, so it may be a case of reinforcing to the user that upsells are only available to add to existing orders, within the next 5 minutes or so. By imposing a time restriction (with a supporting countdown timer), it acts as a trigger to hurry the user into making a decision quickly for Fear Of Missing Out (FOMO). If the upsell does appeal to the customer, all they would need to do is interact with a “Add to Existing Order” call-to-action. Their delivery and payment details have already been captured so it’s just a case of appending the upsell to the existing transaction and charging for it, accordingly. No further input is needed from the customer. On Marks and Spencer’s website, the “Add to Bag” button resides a considerable distance down the page, much further below the upsell proposition. Floral photography needs to visually represent flowers in bud and in bloom. If in “letterbox packaging”, show prospective buyers how it will be presented and delivered. Give context of actual bouquet size, as well as portray the product in realistic home settings that individuals can envisage. Capture the user’s preferred delivery date and delivery postcode at the earliest possible point, after landing on your site. Refine the product offering to only show what is definitely “in stock” and guaranteed for delivery to the postcode provided on the date requested. Avoid disappointment (and lost sales) further down the line when the user is ready to commit to purchasing. Ask yourself what purpose a shopping basket serves on your website? Do the majority of customers order just one bouquet, per transaction? If yes, question the need for a shopping basket altogether and consider the ability to order directly from the product page instead. Take it easy with the upselling. Untimely and overabundant upsell tactics can be enough of a deterrent for a user to abandon an order altogether. Either don’t do it at all or consider doing it on the “Order Confirmation” page, after first securing the highest value purchase — the bouquet. At this point, upsell items could easily be added directly to the existing order at the tap of a button.